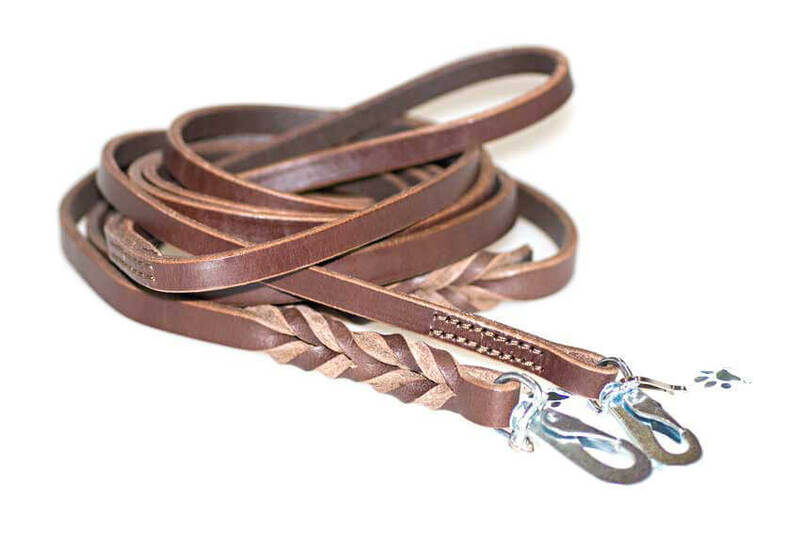 This is a 1.8 meter (6 ft) and 13 mm wide brown leather dog lead made of full grain thick belting leather (4 mm thick). Attractive plaited detail instead of stitching. 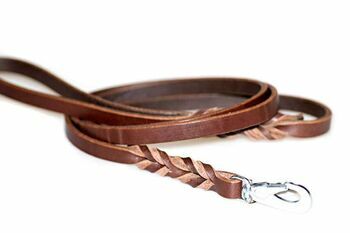 These long leather dog leads are very comfortable and light in your hands. 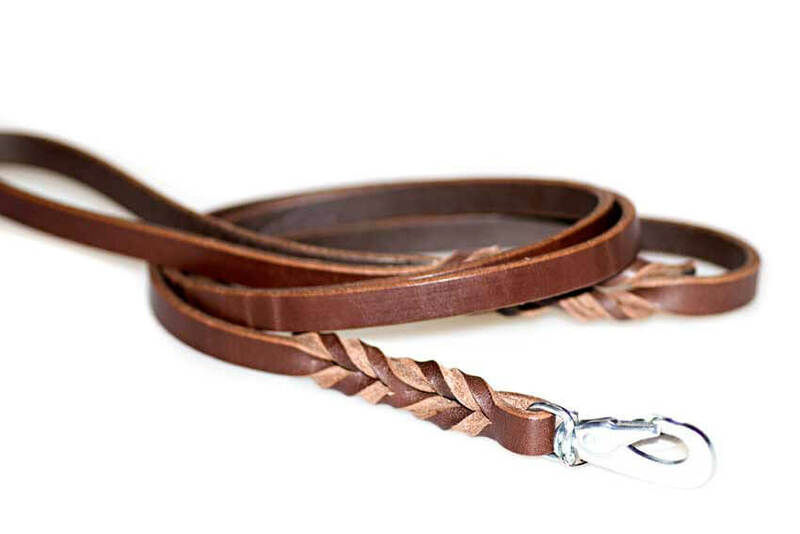 We recommend these brown leather dog leads with our Size M and size L sighthound collars. Great everyday leather lead combining top quality with a great price.